Are Most Murder-Suicides Acts Of Misogyny? 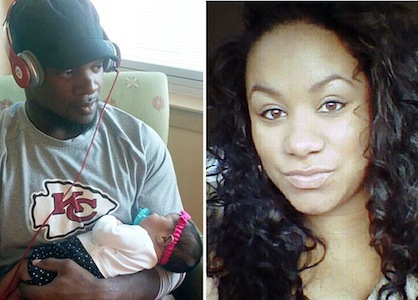 The recent murder of Kasandra Perkins by her boyfriend, Kansas City Chiefs linebacker Jovan Belcher, and his subsequent suicide, calls into question the root cause of most murder-suicides. When I saw the news Saturday night, I shuddered. In a story that is far too familiar, another man had killed his girlfriend and then himself. Because the killer was a modestly famous athlete playing our most popular sport, the story got national attention, the coverage of which has understandably stirred up considerable controversy of its own. But my shudder, in addition to being a response of compassion, was the same one I always feel when I hear about a murder-suicide. You see, just over 14 years ago, I tried to kill my one-time girlfriend and myself. We both survived, but I’ll never forget why I tried to do what I did. Last Saturday, Jovan Belcher—a linebacker for the NFL’s Kansas City Chiefs—shot his girlfriend, Kasandra Perkins, before driving to the team’s parking lot and taking his own life. Because of his celebrity, the case has raised a host of questions about how best to respond. Should the focus be on the mental damage done by traumatic brain injuries of the sort football players regularly sustain? Should it be, as NBC’s Bob Costas suggested, on gun control? Or should the real point be, as ESPN’s Jemele Hill argues, to place murder-suicide where it belongs: firmly on the extreme end of the domestic violence spectrum? I don’t think the interlocking issues of easy access to guns and traumatic brain injury are unimportant aspects of this tragedy. (Within the past 18 months, two far more celebrated football players, Junior Seau and Dave Duerson, shot themselves after suffering from the lasting effects of too many hard blows to the brain.) The danger, as writers like Hill and Ta-Nehisi Coates have pointed out, is that the focus on anything other than the murder of Kasandra Perkins risks distorting the essence of the tragedy: A 22-year-old mother was killed by her boyfriend. Nothing that her murderer did subsequent to her death should shift the focus away from her. The principal perpetrators are young males with intense sexual jealousy…the principal victims are female sexual partners or consanguineous relatives, usually young children. Clinical depression, specific motivations such as male sexual proprietariness …and a history of previous suicide attempts are important in explaining underlying psychopathological mechanisms. Jovan Belcher and I both fit the template of the “typical” perpetrator. The Chiefs linebacker was 27; I had just turned 31 when I tried to kill the woman with whom I’d been in a tempestuous on-again, off-again relationship for two years. Unlike Belcher, I didn’t use a gun, but rather tried to gas us both to death while she was passed out. Though toxicology reports haven’t yet confirmed whether Belcher was high when he killed Perkins and himself, his struggles with drugs, alcohol, and clinical depression were well-documented. When I blew out the pilot lights on my stove and turned up the burners I was under the influence of a potent cocktail of street and prescription drugs, in the midst of a binge fueled by the desperate desire to escape an incapacitating depression. And though Belcher succeeded where I thankfully failed, he may well have been terrified, as I was, to die alone. Over the years, many well-meaning friends have tried to reassure me that I wasn’t in my right mind when I did it, but that doesn’t change the fact that it was a murder-suicide attempt. It’s true that I was three days into a cocaine, alcohol, and benzodiazepine-fueled binge when I turned on the gas, and I have no doubt that I would never have tried to kill another person while sober. At the same time, the role that intoxicants play in driving domestic violence, including murder-suicide, is often misunderstood. Many experts argue that drugs and alcohol are better seen as enablers of violent or destructive behavior rather than the sole cause. “But I was loaded” is obviously never an excuse. Though I remember only bits and pieces of the night I tried to kill my girlfriend and myself, I do remember that I felt no anger toward her or anyone else. Instead, I remember thinking that the drugs were giving me the courage to do something heroic for both of us. We had both tried suicide many times before; we were both addicts; we were both struggling with devastating depression. I remember thinking that I didn’t want to die alone; I wanted to walk into whatever lies beyond with someone I loved and trusted. And I remember thinking that deep inside, she wanted me to be strong and to do this for us. In other words, I appointed myself a White Knight to save her. What binds together all male perpetrators of murder-suicide—there are a handful of very rare cases, such as the murder of Phil Hartman, where women kill their lovers and then themselves—is the grandiose sense that another person’s life is ours to take. Belcher may have been motivated by rage and pain and traumatic brain injury, while I was driven by a bizarre sense that I was carrying out a merciful act, but in the end our assumptions were the same: We got to make the call about who lived and who died. This is what makes murder-suicide an inherently misogynist act: It’s based on a man’s assumption that a woman’s body belongs to him. That’s as true when it’s motivated by a perverse chivalry as when it’s driven by hate. Men who attempt murder-suicide are, like all domestic abusers, in great pain themselves. Killing themselves at the same time or shortly after they’ve taken the lives of their partners is often about expiating guilt and diverting the rage of survivors. We live in a culture where we’re trained to be sympathetic to the depressed and the self-destructive; committing suicide (especially in the very public way Belcher did) is a way of demanding sympathy and understanding. Alas; that strategy too often works. My ex and I are alive, thanks more to my intoxicated ineptitude and the absence of a firearm than anything else. Kasandra Perkins and Jovan Belcher are dead. And though it’s worth discussing how drug addiction, brain injuries, and the easy availability of guns played a part in this tragedy, we also need to remember that we live in a society that encourages men to displace their own rage and hurt onto the women they love. Whatever the surface motive—sexual jealousy, fear of abandonment, the terror of dying alone—murder-suicides are almost always about men’s belief that they have the right to make the most irrevocable decision of all for women whose chief crime is poor taste in men. Hugo Schwyzer has taught history and gender studies at Pasadena City College since 1993, where he developed the college’s first courses on Men and Masculinity and Beauty and Body Image. A writer and speaker as well as a professor, Hugo lives with his wife, daughter, and son in Los Angeles. Hugo blogs at his eponymous website and co-authored the recent autobiography of supermodel Carré Otis, Beauty, Disrupted. You can find him on Twitter at @hugoschwyzer.